Welcome. 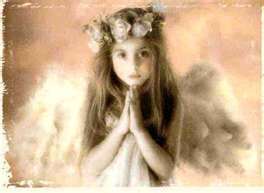 I can provide you with an Angel Guidance Psychic Email Reading. Let the healing begin! The capacity to feel, give and receive love can sometimes be diminished over the course of many lifetimes by cruelty, fear and the pain of life. Awakening is the process in claiming your power! Welcome. This is for a 3 Card Angel Reading. You will hear the truth that will be for your highest good. You may ask one question.